Callrail is a phone call tracking, recording and analytics system that helps you know what makes the phone ring. 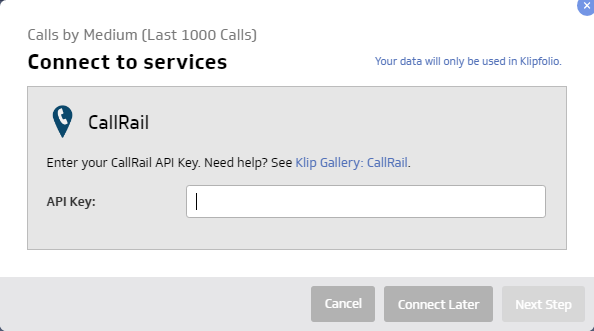 To begin, you are asked for your CallRail API Key. Note: To access the API Key, you must have Admin access to your CallRail account. 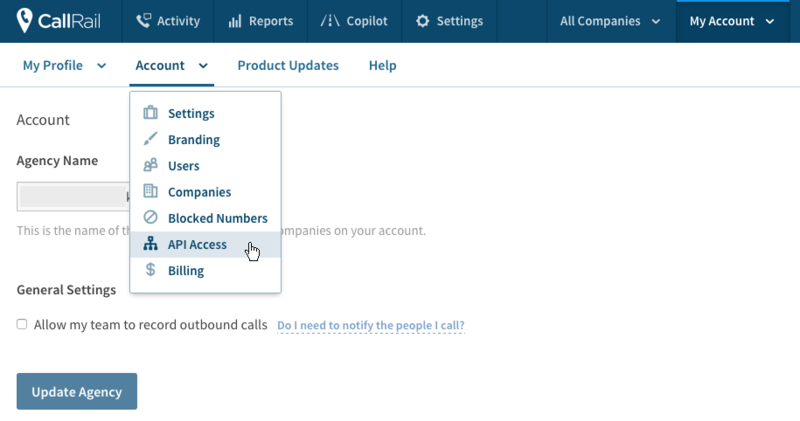 Open a new tab and sign in to your CallRail account. In Klipfolio, click Next Step. Select a company from the drop-down menu.